Baby reading? Is this really possible? Let me tell you of our method on how to teach your baby to read. If you saw a one year old speaking would you call that genius? Probably not, many children speak around their first birthday. If you saw a one year-old reading would you call that genius? Most likely, yes! Did you know that babies learn to read just as easily as they learn to speak? Let me rephrase that. It is actually EASIER for babies to learn to read than to speak, do you know why? The answer is simple. But first I must explain a few things. We teach babies to read using the whole-word method, also called sight reading. 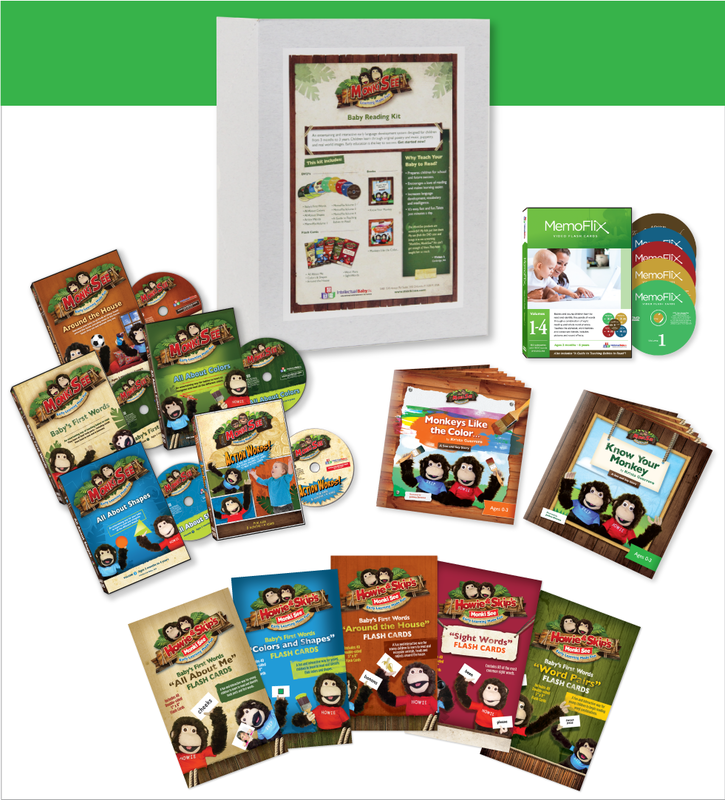 Thousands upon thousands of babies have learned to read using this simple and amazing system. Babies that learn to read using the whole word method, naturally learn the rules of phonics on their own or with very little exposure to phonics lessons. However, we recommend that parents of children ages 4 years and up use the phonetic system to teach reading. At birth, your baby’s auditory pathway is still developing. What that means is that the more you talk to your baby, the more language your baby hears, the faster your baby will fully develop their sense of hearing. Have you ever wondered how your small baby could sleep with the vacuum cleaner on? At birth your baby’s visual pathway is still developing as well. This means that your baby cannot see clearly at birth. Your baby’s vision is not bad, it is just not fully developed. Therefore, the more you stimulate their visual pathway, the faster the visual pathway will develop. The brain grows through use. We know this is true because premies, babies born before term, are not blind or deaf until they reach gestational age. By stimulating them visually and by speaking to them, their visual and auditory pathways are developing. We don’t expect premies to not be able to hear or see until they are 9 months gestational. So we have just established our first fact. THE BRAIN GROWS THROUGH USE. What does any of this have to do with your baby being able to read? Have you noticed that there are many ways to say something? Let’s say for example that your baby is waking up, and you pick him up and say, “Good morning, baby!” That seems simple enough. BUT, you can put the emphasis on any one of those words and it would sound different each time. You can say, “GOOD morning, baby!” or “Good MORNING, baby!” or “Good morning, BABY!” Do you see what I mean? Each of those sounds different to a small baby. Now let’s say for the purpose of this lesson that you show your baby the same phrase. Good morning, baby. There are a few ways to change that. You can write it in all capital letters like this, “GOOD MORNING, BABY”, or like this, “good morning, baby”. Once we decide which one we will use we can move on. The second one is best, because we do not write in all capital letters. We simply capitalize the first word in a sentence. Would we show the baby that phrase in the print size you are reading in now? NO, NO, NO! But, why? Because we just said that your baby’s visual pathway is still developing. That is why we must make the print larger. And now we have just established our second fact. BABIES LEARN TO READ EASILY WHEN THE PRINT IS LARGE. Yet we still haven’t answered “why” it is easier for your baby to learn to read than to speak. First of all, speaking is a motor skill that is not acquired until around the age of one. But, your baby IS able to see shapes and outlines at birth. Each day your baby’s visual pathway is growing and by three months of age, your baby’s vision is developed. Let’s say that at three months of age, we show a baby the words ‘good morning, baby’. As we discussed previously, there are several ways to say that phrase. But look at it. The words don’t change. So if every time you were to say, “Good morning, baby,” to your baby, you showed your baby the words also, your baby would learn the written language simply. Your baby would learn that phrase and it would actually be helpful to your child to decipher the different ways in which you may say that phrase. Your baby sees the words, and knows that is what they say, and that there are different ways to say them. And that is how simple it is for tiny babies to learn to read! We present the words in large print for their developing vision and they learn to read the words. Because their brain development is so rapid during the first five years of life, they are able to learn at an amazing rate. How do we know they can read, since they can’t speak? Are you speaking as you read these words? Most likely not. That is not an efficient way to read. There are several ways to determine that babies can read. First of all, you can see that they are looking at the print. You can see their eyes follow along. Some babies can demonstrate by pointing to a body part that is shown to them in written form. For example, show your baby the word nose, and they may touch their nose. Some babies, if given the choice of two words, will look at, point to or grab the correct word asked for. Let’s say you hold up two words, clap and hands. You ask your baby which word says clap and they look at it, lean towards it or grab it. These are all ways that your baby can demonstrate that they can read the words you have presented to them. But what if your baby doesn’t give any sign that they are reading? Well some babies will not show you that they can read, until they can speak. Some babies, will read to you once they have developed the motor skills to speak. Does that mean that they were not reading prior to speaking? Certainly not! 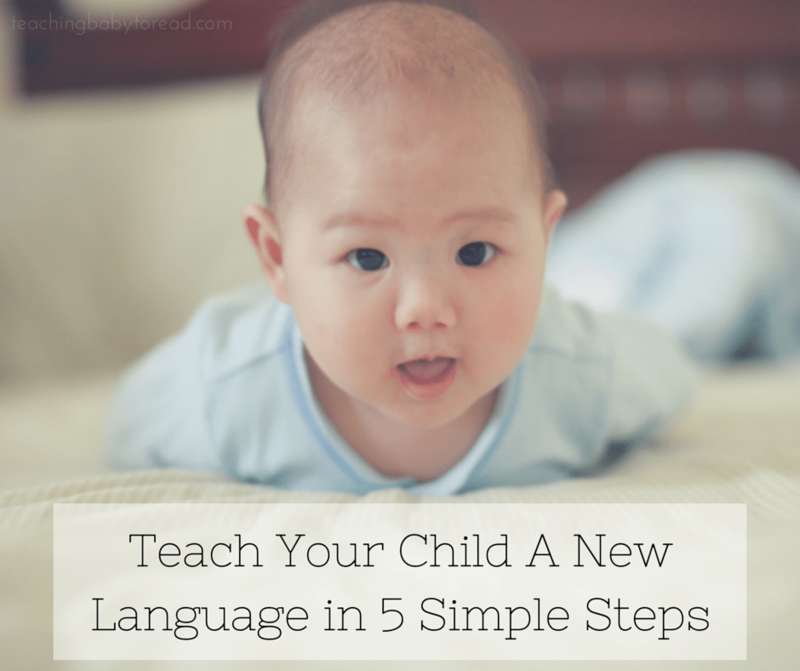 It is no different than the way they develop their language skills. We speak to them for a whole year or more before they even say anything that makes sense. Did we ever doubt that they were understanding what we were saying to them? One day your baby will be saying mama and dada, and shortly after they will be speaking in full sentences. Does that mean that your baby didn’t understand full sentences before they could speak them? Heavens, no! You may be wondering how your baby is learning to read. At first, your baby is learning to read by memorizing the shapes and patterns of the words. But here is the amazing part! Babies can intuit phonics. In plain English that means that, once your baby has seen many words that start with the letter “s”, your baby will know that the letter “s” makes the “sss” sound. Amazing, isn’t it? Babies that have been exposed to written language are actually capable of learning phonics all on their own. They are able to sound out words that they have never seen before. The genius is not the baby, but the brain that can decipher and decode all of this. And now we have established our last fact. Babies are born with an amazing gift. Babies are born with a developing brain. This developing brain allows babies to learn at an incredible rate. We are still debunking the myth that they are only babies and they don’t understand much. Instead we should embrace the first five years of life and provide rich environments for our babies. We should provide them with the opportunity to read, speak foreign languages, play music, and learn as much about the world as possible. Never again will they have the advantage that they have from birth to age five. So why wait until the brain has slowed down to introduce reading? Why not give your child an advantage in life? It will never be as easy for your child to learn to read as it is TODAY! Thousands of parents in many different countries have been teaching their babies to read using the whole-word method for over 40 years! We have taken this method and adapted it for the modern day parent. Let’s face it, we would all like to have more time. More time to play with our babies, more time to spend with our husbands, more time to do the things we enjoy. So where do you find the time to teach your baby to read? Where does that fit into your busy schedule? You don’t need to plan out lessons, you don’t need to stock pile cards to teach your baby to read, (unless of course you want to). We have made it as simple and foolproof as possible. We have taken the techniques used to teach babies to read for over 40 years, and formatted them into a video series. 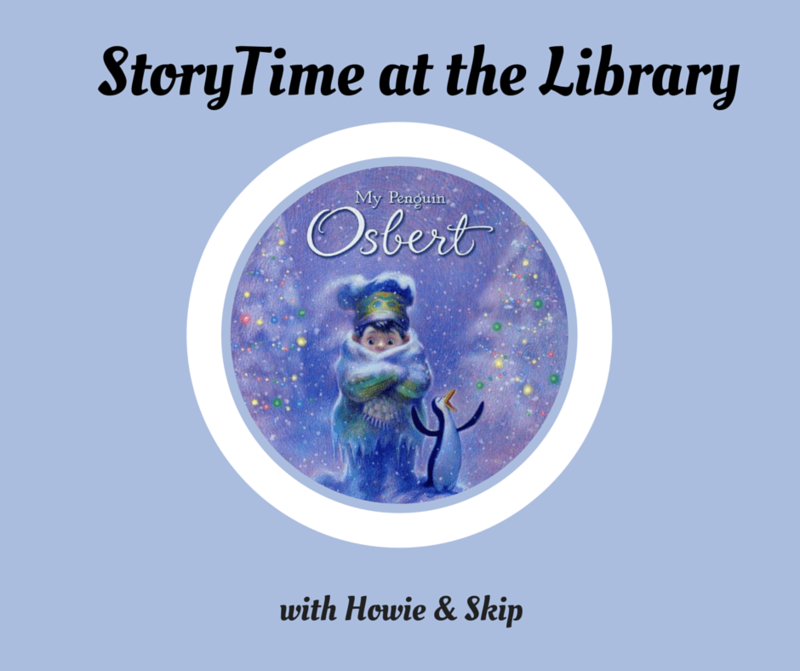 By simply watching fun and entertaining videos, your child will be on their way to reading. It couldn’t be any simpler! It is a known fact that children are the greatest mimics around. They are always copying others. In the video series, “MonkiSee” your baby will meet two delightful characters. Howie and Skip are brother Howler monkeys from the jungles of Belize. 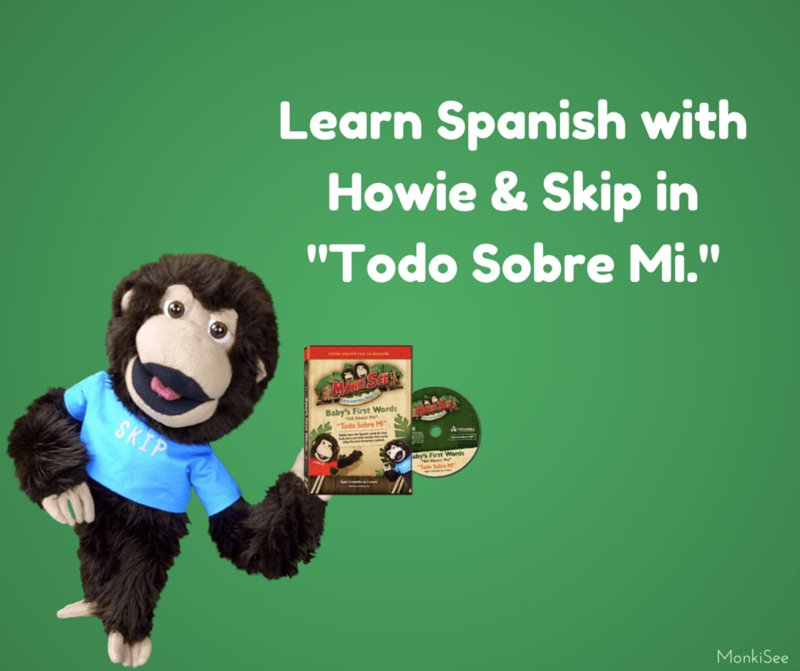 Howie is teaching his baby brother Skip to read, and consequently, your little one will learn to read along with Skip. In fact, it will be so much fun for your baby, that your baby won’t even realize what an amazing ability they are acquiring, the ability to read! It is what sets us apart from the rest of creation. Literacy is the key that can open doors to your child’s future. Much time and consideration of what babies delight in has been given to the development of this series. We are so sure that your baby will LOVE this program that we are willing to take all the risk. 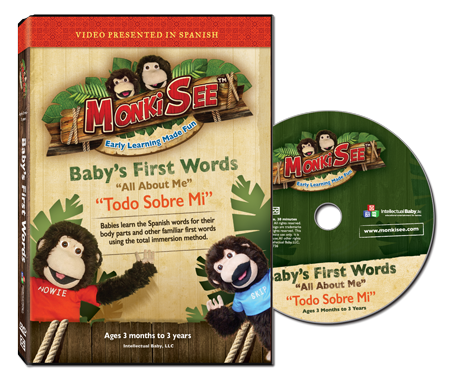 If your baby doesn’t absolutely love, “MonkiSee”, we will take it back! We GUARANTEE our product for 90 days! You have nothing to lose and everything to gain.